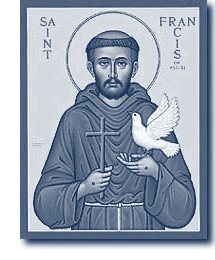 St. Francis of Assisi still can Help Us! I am working on the Spiritual Classics Anthology. I have read that story about St. Francis and Perfect Joy many times, but this time it hit me freshly. Can I challenge you to think of something you tend to complain about outwardly or just in your head? Think, what would it be like if after trying to change the situation, I would just stop complaining for a day, a week, a month????? ?